Cocaine is a highly addictive psychostimulant that induces complex molecular, cellular and behavioral responses. Despite various approaches and years of pre-clinical studies, effective, mechanism-based therapies to assist with cocaine misuse and dependence are still sorely lacking. Although it is well understood that elevations of the brain chemical dopamine play a critical role in cocaine's ability to produce a "high—feelings that trigger the spiral into addiction—the actions of cocaine are far more complex. 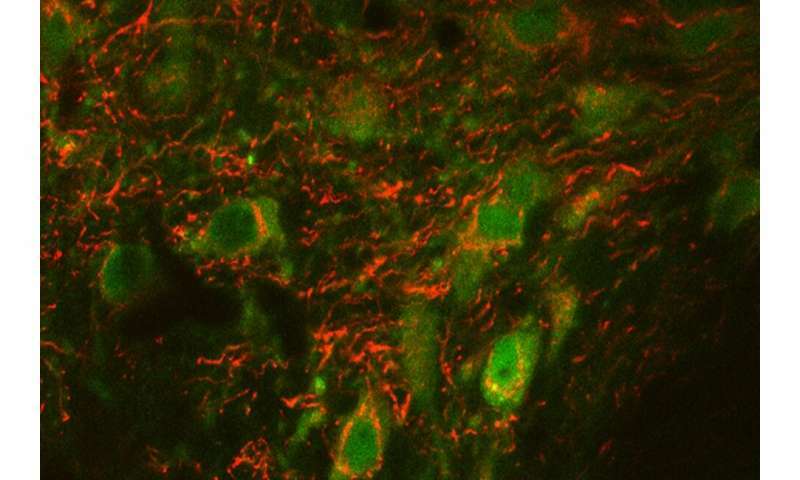 Using a unique strain of genetically engineered mice, a team of neuroscientists at Florida Atlantic University's Brain Institute and collaborators at Vanderbilt University and the Research Triangle Institute, Research Triangle Park, have discovered a surprising response to cocaine in these mice. Results from the study, published in the journal Neuropsychopharmacology, show that mutant mice failed to exhibit the hyperactivity seen in normal mice when given cocaine and didn't run around. However, in other tests, these mice still found cocaine appealing, although they displayed an inability to shake the memory of cocaine's actions when the drug was no longer administered. Through a combination of genetic, biochemical and behavioral studies, the researchers found that the critical change that blocks cocaine's stimulant effects in the DATVal559 mice involves the mood molecule serotonin and not dopamine. The study was spearheaded by Randy D. Blakely, Ph.D., lead author, executive director of FAU's Brain Institute, and a professor of biomedical science in FAU's Schmidt College of Medicine. Several years ago, Blakely and his team generated DAT Val559 mice, named for their expression of a rare human genetic variant (Val559) that alters the function of the dopamine transporter (DAT). DAT proteins are responsible for limiting the signaling of dopamine in the brain by sweeping the neurotransmitter away from synapses. Blakely initially identified the DAT Val559 mutation in subjects with ADHD. Others found the genetic variant in subjects with autism and bipolar disorder. The gene variant also has been found in apparently normal subjects, suggesting a complex mode of action. "It was extremely odd to see a mouse given cocaine not to become hyperactive, and it suggested to us that an unexpected change had occurred in the brain in response to the mutation, a change that might be worth identifying," said Blakely. "Adding more to the puzzle, we found that the DAT Val559 mice responded with a hyperactive response to other psychostimulants such as amphetamine or methylphenidate like Ritalin." Cocaine, unlike amphetamine and methylphenidate, exhibits a potent interaction with the serotonin (5-HT) transporter (SERT), a sister protein of DAT. SERT sweeps away serotonin at synapses just like DAT does for dopamine. 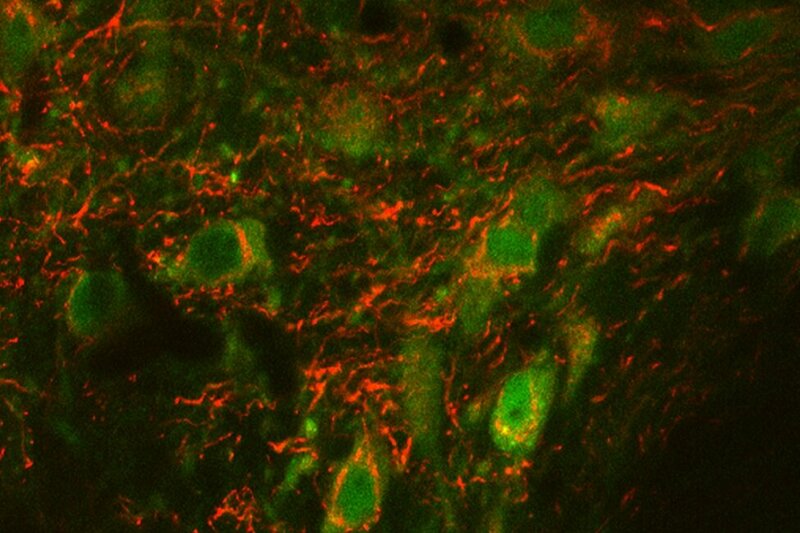 Blakely's team believes that during brain development the altered dopamine signaling arising in the DATVal559 mice triggered a change in the strength of serotonin actions, specifically in brain circuits that impact the activation of movement and the ability to shake off drug memories. When the researchers limited serotonin's actions with a serotonin blocker, the mice regained a normal hyperactive response to cocaine. "We previously found increased reward motivation in the DAT Val559 mice, and attributed these responses to changes in dopamine for obvious reasons," said Adele Stewart, Ph.D., first author of the study and a post-doc in Blakely's lab. "Our studies with cocaine, however, revealed something more interesting—basically that developmental changes in dopamine handling lead to remarkably powerful changes in the brain's use of serotonin. This makes us wonder if children developing with excessive dopamine signaling might benefit from medications that target serotonin neurons and their synapses." According to Florida's Medical Examiner Commission, overdose deaths from cocaine are at their highest level in the state since 2007. From 2012 to 2015, cocaine deaths in Florida increased from 1,318 fatalities to 1,834 fatalities. Only fentanyl, a powerful synthetic painkiller, surpassed deaths from cocaine overdose in Florida. Nationally, more than 1 in 3 drug misuse or abuse-related emergency department visits (40 percent) involved cocaine. "Although we were initially focused on the significance of our work in relation to ADHD, we think that there may be some very important lessons here that could help those dealing with substance use disorder," said Blakely.